What do you make when you're trying to eat healthy snacks, you want to keep everything moving AND make sure you get a protein hit after the gym or yoga...? Well, enter the slightly odd sounding combination of peas and prunes. Prunes: infamous for helping you go to the loo, but not so well-known for their high anti-oxidant properties. They're also really high in fibre (hence the laxative effect), full of energy but, won't spike your blood sugar. Sounds like a pruney dream right there. Perfect in puddings because they're sweeter than sweet; I was super keen to blitz these into feel-good treat. These taste delicious. 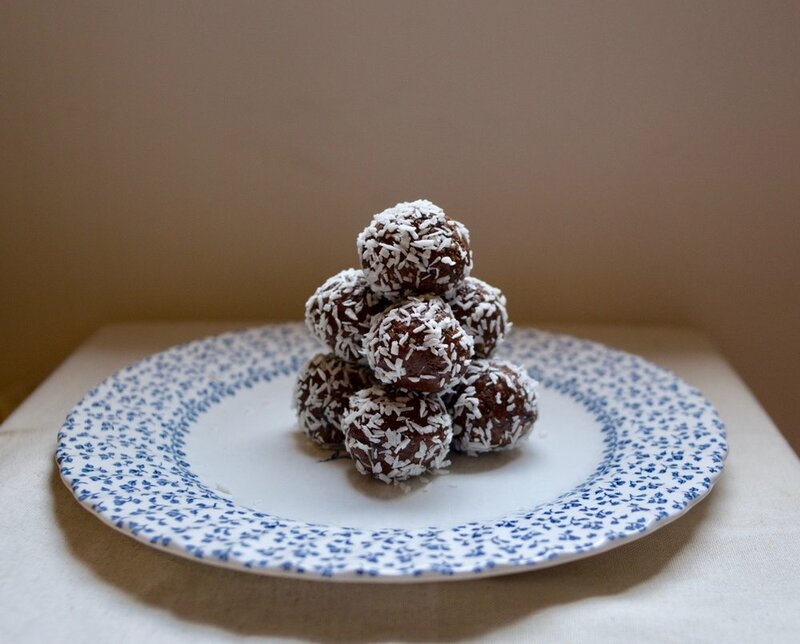 Recipe makes about 10 balls. I stored in the fridge in an airtight container for 5 days and they still tasted great.